There is a common thread from which most human connections are formed. They are the life experiences that make us who we are. We reflect on them. We share them. We listen to them told as stories, looking for how our narratives might fold into another’s. But what if those ever-personal experiences, our very stories were erased from memory? How then are we to form bonds and build relationships? This is the story of an unlikely friendship. Where a high school girl discovers true leadership requires action and that action, more than words, is love. Brought together through a single event, Mallory Custer and Elizabeth Taylor’s stories continue to unfold in the passing months. 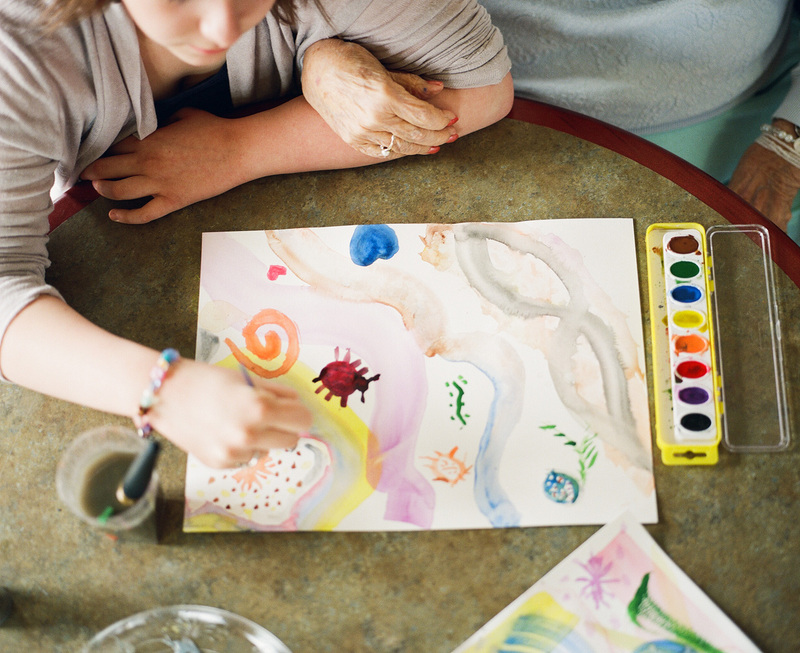 Transcending a wide generational gap and dementia, love of the arts keeps bringing the two back together. While many of their conversations may be forgotten, and the words often needing repeating, their connection is restored again and again through a connection found stretched across canvas. Chick-fil-A Leader Academy™ is a national high school leadership program focused on impact through action. More than 16,500 students are participating in the program which is offered in 550 schools across 33 states.